Ap. Claudius Pulcher was one of the moneyers for the year 111-110 BC. He struck coins jointly with his colleageus for the year, T. Manlius Macinus and Q. Urbinus. He was a supporter of Lucius Cornelius Sulla and served as praetor in 88 BC. He was exiled in that year by Gaius Marius while Sulla was away in the east. 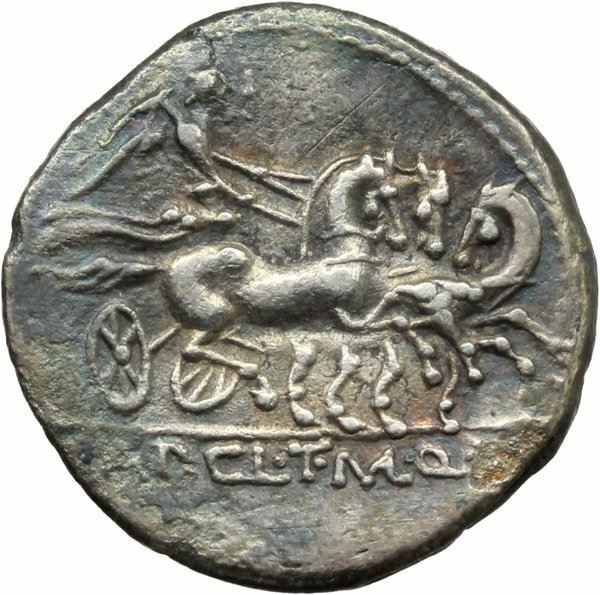 He returned to Rome after Lucius Cornelius Cinna died in 84 BC, and served as consul in 79 BC and as governor of Roman Macedonia from 78 BC to 76 BC. There is uncertainty about who his father was. It was most probably the Appius Claudius Pulcher who was consul in 143 BC.